Product #6212 | SKU HPE-325C | 0.0 (no ratings yet) Thanks for your rating! 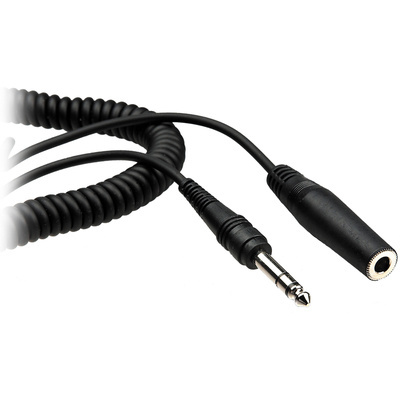 The Hosa Headphone Extension Coiled Cable (25ft). This cable is designed to extend the reach of hard-wired headphones with a stereo phone plug. A coiled cable helps reduce clutter and enhance your listening experience.